Not ones to sit idly by and let other fast food chains monkey around with their (and our) beloved burger, the fine folks at Checkers (my vote for best guilty pleasure burger joint) have introduced the Prime Rib Burger, thus raising the ante on Arby’s recently launched RoastBurger line by doing the unthinkable – adding an actual burger to a roast beef sandwich. We probably could have seen this coming. We’re talking about authentic, tender prime rib sliced right off the roast. Piled high on our big and juicy, hand-seared and seasoned burger. With grilled onions, Swiss cheese, and peppercorn mayonnaise between hot and toasted sourdough bread. It’s prime rib done delicious. 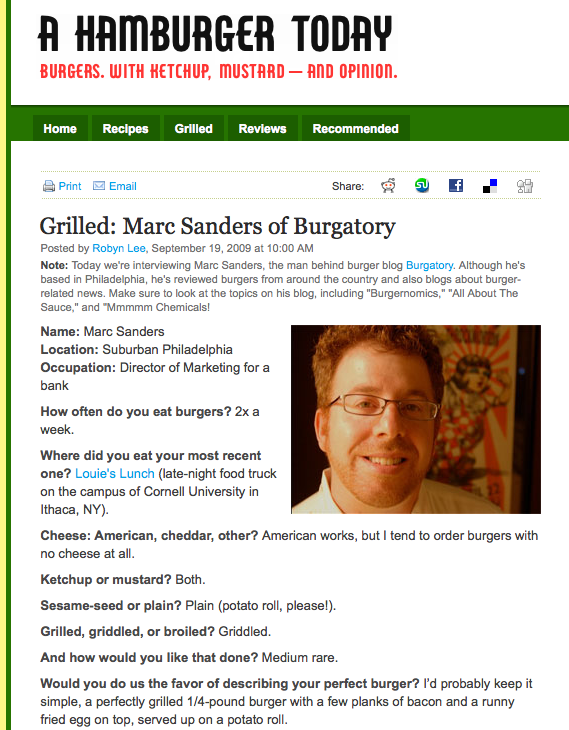 As stated previously on this website, (more) meat really is the best burger topping. Fancy sounding peppercorn mayonnaise is intriguing, too. If my travels take me past one of our local double drive-thru’s I’ll update with a picture and a field report. Bonus: More news on my recent encounter with a Checkers’ Baconzilla! coming later this week. I fell in love with this sandwich and my Rally’s already no longer has it. Happens a lot, go-figure! Would be better if it was double the prime beef and NO burger patty. Overall was way too salty for my taste.